Independence Day in the United States is a good time to reflect on independence movements elsewhere. Before there was Zimbabwe, there was Rhodesia, where a white minority government oppressed blacks and “colored” (mixed race) people using force and apartheid-style policies. In the 1970’s, the last decade of the country’s War of Independence, rock music blasted from the black townships in Rhodesia, and one band, Wells Fargo, became a leading voice for music and independence in the face of an oppressive regime. Here’s the forgotten story of the band’s courage, perseverance, and entrepreneurship. The song accomplished what the racist Rhodesian government feared most: it brought together young whites, blacks, and mixed-race supporters of the independence movement. Wells Fargo concerts attracted fans from all walks of life. The song became an anthem on the front lines in the bush and at home in the townships. The government decided it had seen enough interracial unity. As told by Ebba to Snap Judgment, police repeatedly raided Wells Fargo concerts and music festivals, beating concert goers and band members. Josi was eventually arrested by government agents for playing “Have Gun Will Travel” with his new band Eye of Liberty. The Special Branch, Rhodesia’s internal security force, recognized the song’s influence, too. They began placing informants at Wells Fargo concerts to spy on the crowd and to ask questions about the politics of Ebba and other band members. Fans knew that the “big storm” was the revolution, and “thunder and lighting” meant bombs and gun flashes. But when band members were interrogated by secret police, they kept their story straight: the “big storm” was Wells Fargo, and the song was about the band bragging how great their music was. By the mid-70s, Wells Fargo was arguably the most popular band in the “Zim heavy” rock scene in Rhodesia. As Matthew Shechmeister discusses in his well-researched history of the band, the liberal white Rhodesians who operated Afro Soul, a subsidiary of South Africa’s Teal Records, believed they might be able to get the Rhodesian Censorship Board to approve the coded version of “Watch Out.” The prospect of profits was great enough for them to risk government retaliation, so they recorded and released the song. But authorities were very familiar with the song by then, and they banned it from state-controlled radio. But underground radio loved it, and according to Ebba, the “Watch Out” single was a big seller by heavy rock standards, estimating the record sold at least 15,000 copies despite the official blackout. Entrepreneurs succeeded despite government efforts to silence them. 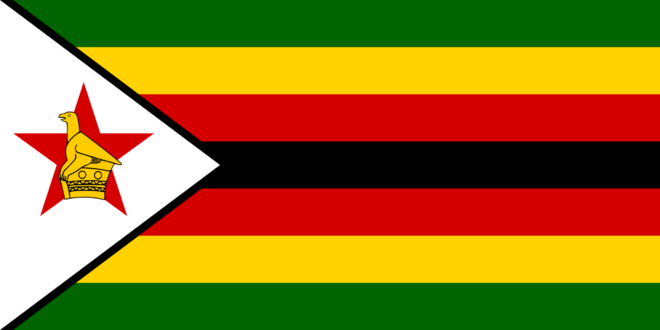 When Ian Smith’s Rhodesian government eventually fell, a celebratory concert was held on April 17, 1980, in the capital city of Salisbury, headlined by Bob Marley who performed “Zimbabwe.” Zimbabwe’s official independence from the United Kingdom was marked by the attendance of 32-year-old Prince Charles, who saluted the Union Jack as it was lowered for the last time in Africa. Unfortunately, the fight for freedom was not won then. The successor government led by Robert Mugabe did not fulfill the hopes of the revolution. Musicians turned their attention to Mugabe’s abuses, reflected in the protest music after 1980. One such star, Thomas Mapfumo, creator of chimurenga music, was forced to leave Zimbabwe in 2000. He migrated to the United States and now lives in Eugene, Oregon, and continues to perform internationally.